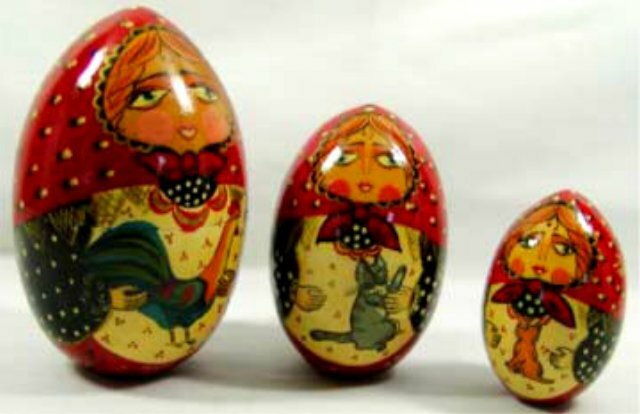 Unusual egg shaped nesting dolls are blond girls with wide, drooping eyes. They wear red scarves and black sleeves decorated in dots and gold leaves. The girls have a rooster, a cat, and a little dog. Signed and dated - made in Moscow 1993.